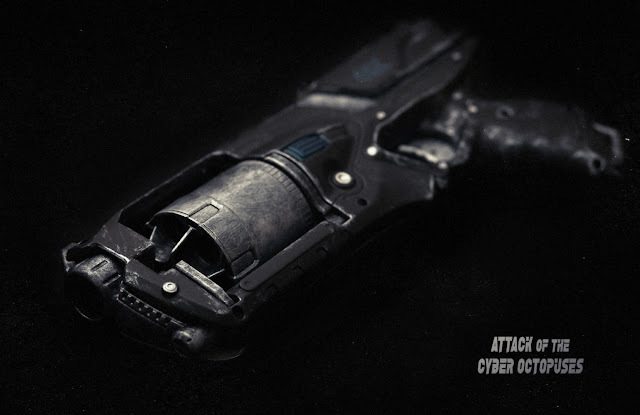 Cyberpunk Nerf Custom Mod for Attack of the Cyber Octopuses short film - "John Laser Gun"
Ok so this is the first post of this blog. In here I'll write about my new project ATTACK OF THE CYBER OCTOPUSES, a retro-futuristic cyberpunk short film, entirely made as in the Eighties (i.e. no CGI, but a lot of props and miniature models!). If you want more info about it, please visit the official website. And... sorry for my terrible English grammar... I'm Italian... Anyway I'll keep you updated with news about the film, especially about the "making of" of it and all the models and props that will be created. So let's start with the first one, the Laser Gun of John, one of the main characters of the film! First of all I bought a toy gun from the brand Nerf. They make amazing futuristic design and the pieces are very easy to take apart. Then with sand paper I scratched away all the unwanted logos and texts, making also the surface ready to be spray painted. After sanding a little bit more, I covered all the pieces with a first coat of gray primer. I let it dry for some hours, then spraied a second coat of primer and then finally the matte black main color. Some more coats and some hours later, I used brushes to "dry paint" the model with silver acrylic paint. 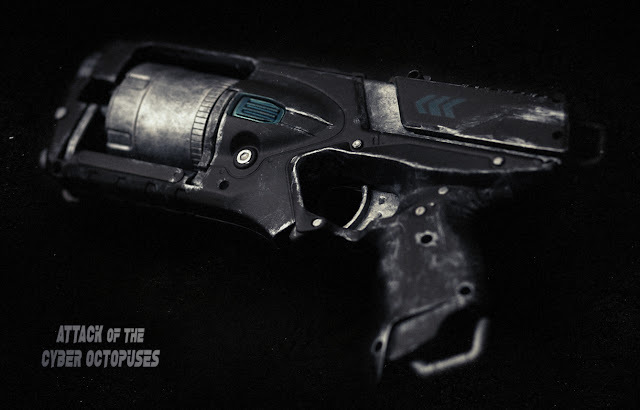 I wanted the laser gun to look worn, old and used many times, but still cool and working. The final touch was adding some "blue metallic" details, to make it more futuristic and cyber. Well, I hope you enjoied this making of. Many more to come... Stay in touch and follow the social media pages of this amazing project! P.S. this was my very first attempt to do anything like this. I've never painted a toy gun before... How do you like it? Your critics and comments are very welcome!